These words can be found in the east window above the altar in St James the Less Church, Lower Tatham. The original tracery of the window itself is 15th-century but the glass is late-19th-century by Burlison and Grylls of London. According to the latest Pevsner guide, it was ‘not their best’. Of more interest is the identity of Eben D Jordan. Who was he and why did he make such a donation to a small English rural parish church in northern Lancashire? Eben D Jordan and the firm he founded now enjoy brief entries in Wikipedia but these neither do him justice nor refer to any links with England or to Tatham. Eben had been born in 1820 at Danville, Maine and began his working life as a farm boy before migrating to Boston when he was just 14. 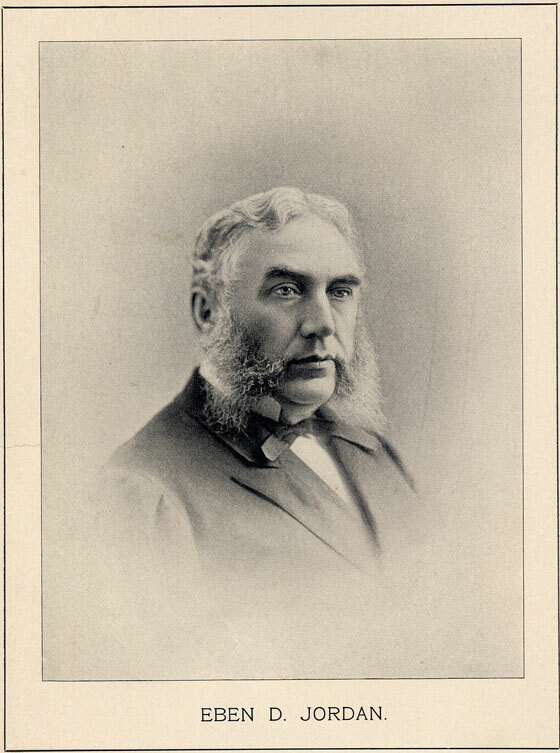 After working for various merchants and on his own account he established Jordan Marsh as a general cash store in 1851, importing stock from Europe which he visited for the first time in 1852. 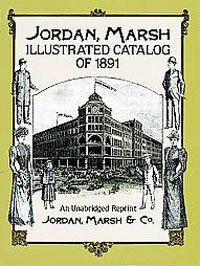 This laid the foundation for what was to become Jordan Marsh, Boston’s premier department store. By the 1880s he employed a staff of over 3000. In 1870 he helped to found the Boston Globe. He had a reputation as a philanthropist and in 1882 paid for and accompanied 25 of his staff on a tour of England and France, visiting famous sites but also some of the firm’s major suppliers. British newspapers hailed his actions as those of an enlightened, benevolent employer who had bridged the gap between capital and labour. He later embarked on a tour of the world. When he died in November 1895 it was only 5 months after he had again visited Europe, this time for his health. His funeral was viewed by thousands and the following year a volume of Memorial Tributes to Eben D Jordan was published drawing on personal tributes as well as national press reports. He was buried in Forest Hills cemetery. He left over $7m personal estate. The New York Times of 16 November 1895 carried an obituary: ‘In personal appearance Mr. Jordan was slightly below medium height, and had a full, well-knit figure, which was always faultlessly attired. He moved with a quick, elastic step, and kept a constant watch upon all the vast mechanism of his great establishment. His face was a strong though pleasant one, and his hair was silvered. He was exceedingly democratic, was always approachable, and in conversation was pleasant and agreeable’. Eben’s unexpected link with Tatham was through the marriage in Trinity Church, Boston in November 1885 of his 22-year-old daughter, Alice Madeline, to Arthur Wellesley Foster. How Arthur and Madeline (as she is generally referred to) met is not clear. Arthur was a younger son of the late William Foster of Hornby Castle. Like the Jordans, his family’s fortune was derived from trade. His grandfather, John, had built up a large woollen textile manufacturing business at Queensbury mills, just outside Bradford, and made famous its Black Dyke Mills brass band. In 1860 he had purchased Hornby Castle as his country estate together with the advowson (right to appoint to a living) to St Margaret’s Hornby and St James the Less, Tatham. Over the next few decades he, his son William, and grandson William Henry purchased additional properties in the area and established themselves as local squires. 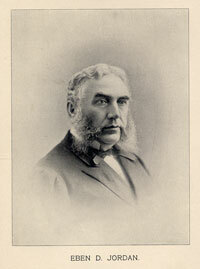 When William Foster died in February 1884 he left £1.2 million in addition to his landholdings and business concerns. £70,000 of this he left to Arthur who had graduated from Oxford a few years earlier and who seemed destined for the church. Before his death William had expressed a desire to renovate Hornby and Tatham churches which were in a very poor condition. He named his other four sons as trustees for St James with the express intention of securing the appointment of Arthur to the living when it became vacant. The trustees set aside £3000 for the restoration of St Margaret’s Hornby (completed May 1889) and £2000 for St James the Less, Tatham. 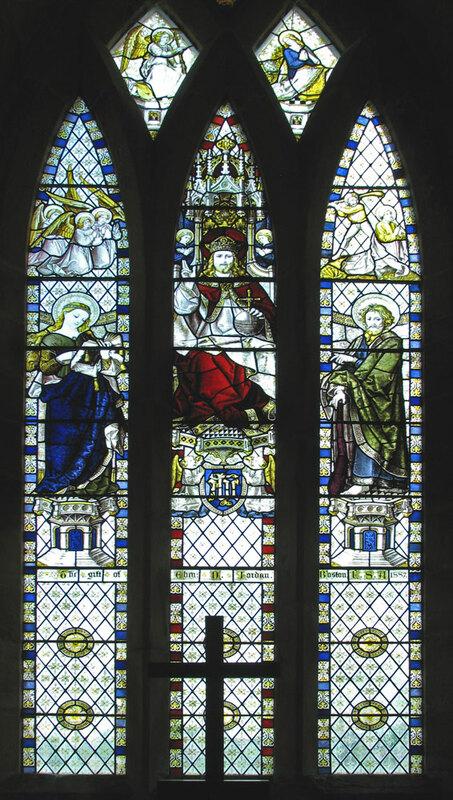 In 1887, therefore, when Eben financed the east window, he knew that his son-in-law would be a future rector of Tatham. 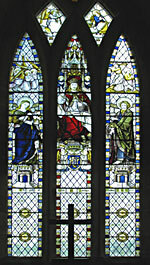 Other members of the family also donated items: Arthur’s wife Madeline paid for the font and its oak cover; her mother donated the lights; Arthur gave the candelabra and font ewer; his widowed aunt, Mrs Johnson J Foster of Moor Park near Ludlow, paid for the lectern; his uncle John Foster of Coombe Park, Pangbourne financed the alabaster work of the reredos and his wife Francesca (Fanny) donated the collection plate. Arthur and his wife obtained the living of St James in April 1888 when Revd. Richard Denny resigned due to old age and ill health. Arthur and Madeline’s first child had been born in London the previous year and, although Tatham rectory was improved at this time, the family chose to live at Caton Green with a large number of servants. Arthur and his wife regularly visited Lower Tatham School where Madeline offered occasional elocution lessons. She also raised money for the new Royal Lancaster Infirmary and laid the foundation stone for the new church at Tatham Fells in August 1888 receiving a commemorative trowel and mallet. She and Arthur later donated a font ewer, antependium and red frontal, while the organ was donated by his brother William Henry Foster. Arthur resigned from St James in October 1893 and his family left in December for Brockhampton Court, Herefordshire, reportedly purchased by his father-in- law. Here they assumed the role of benevolent local gentry for nearly 40 years. They are buried in the churchyard of the beautiful All Saints, Brockhampton which Madeline commissioned in Arts and Crafts style from William Lethaby in 1902 in honour of her parents and brother. But that, as they say, is another story. 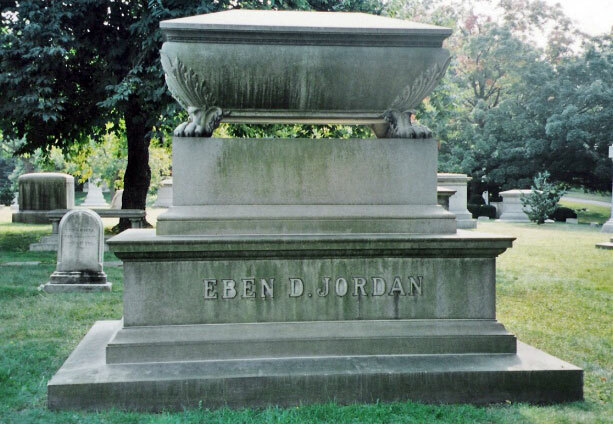 After Eben’s death, his children continued to give generously to causes in Boston. 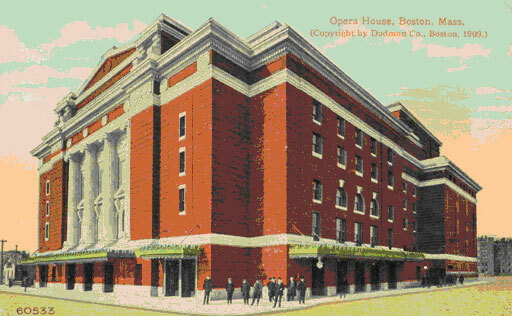 Eben’s son and namesake financed the Majestic Theatre, Opera House (now demolished) and New England Conservatory, including the famous Jordan Concert Hall. 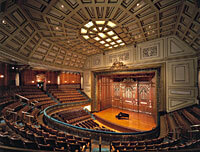 His son in turn donated his father’s extensive art collection to Boston Art Gallery. 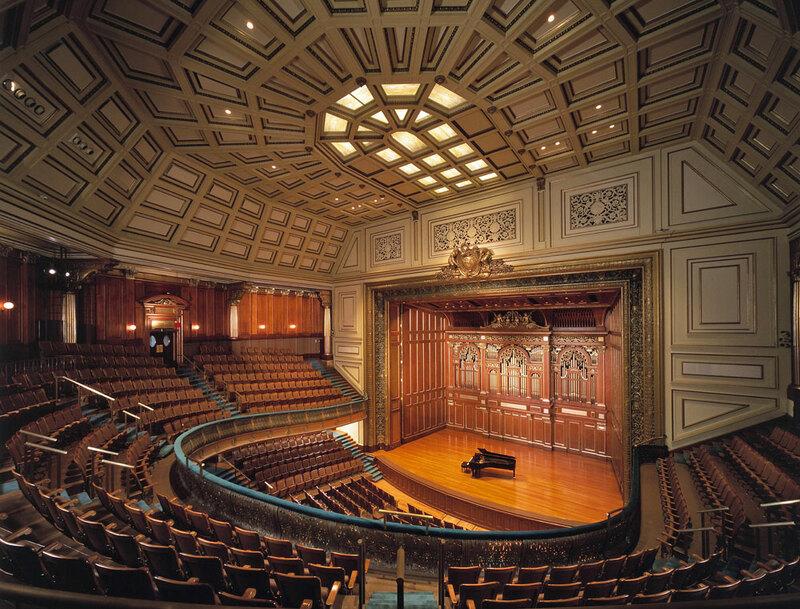 Madeline gave $1000 for scholarship to the Boston Opera School and, with her sister, gave $18,000 for the ‘Jordan ward’ in the Boston Free Hospital for Women. 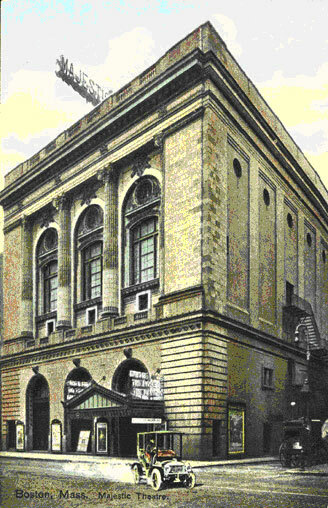 In 1935 the store which Eben D Jordan had founded became part of Allied Stores and trades today as Macys. Arthur Wellesley Foster died in 1929 and Madeline three years later. Brockhampton Court is now a care home. The Fosters sold their estates in the Lune Valley in the years around World War Two. However, public buildings in Boston and a world famous Arts and Crafts church in Herefordshire are highly-regarded legacies of the families’ wealth and generosity. Their contributions to churches in this area, and elsewhere in the country, although less grand, also deserve to be acknowledged remembered and celebrated.